After days of waiting the clouds finally cleared, revealing one of the most visually dramatic mountain ranges in Iceland. 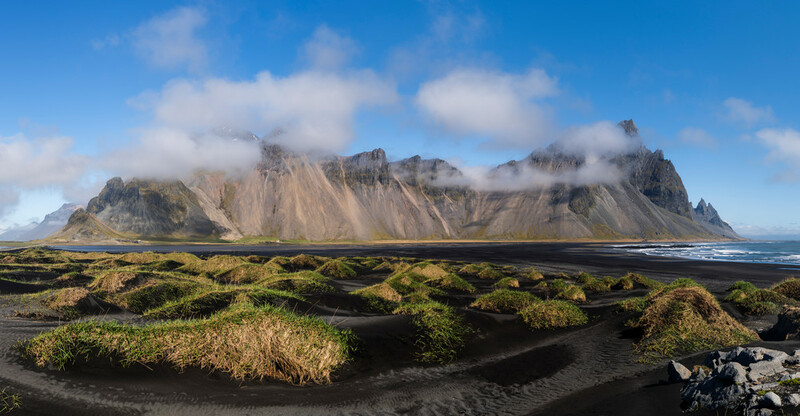 After two days of waiting in this location the drizzle and low clouds finally cleared, revealing one of the most visually dramatic mountain ranges in Iceland. A few hours later the skies clouded up, it began raining, and the mountain was again obscured.